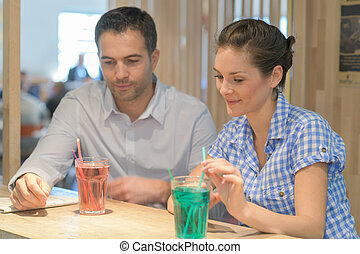 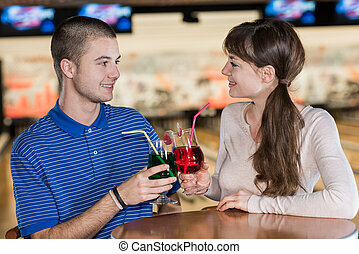 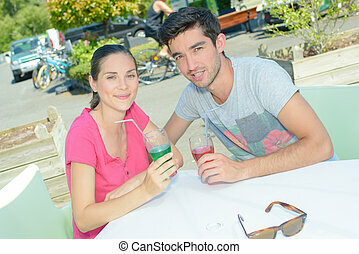 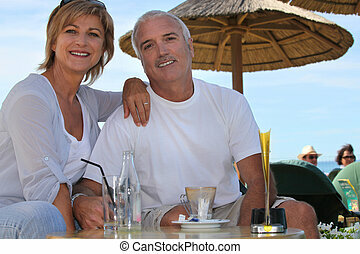 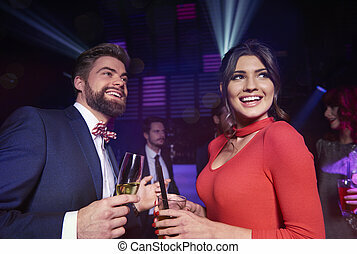 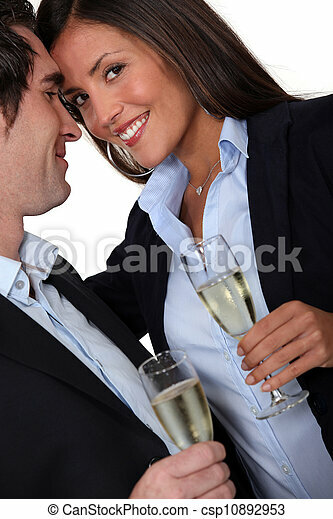 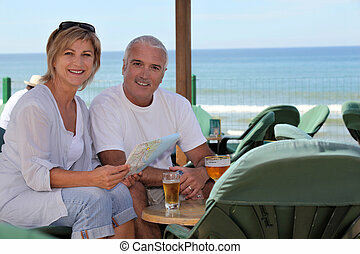 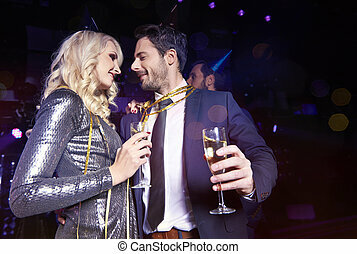 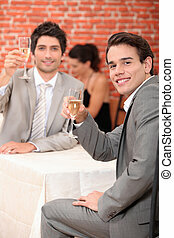 Couple having a celebratory drink. 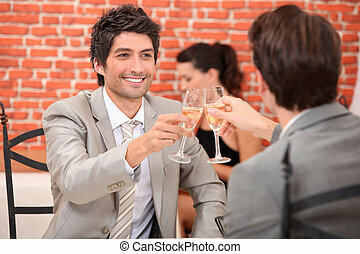 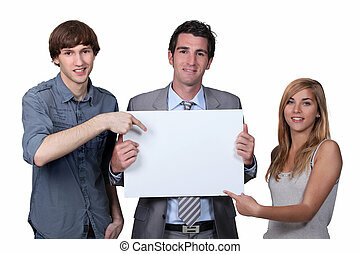 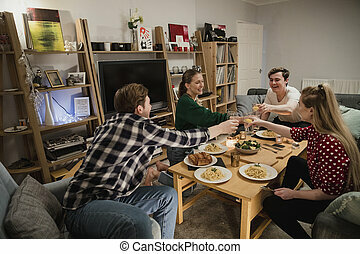 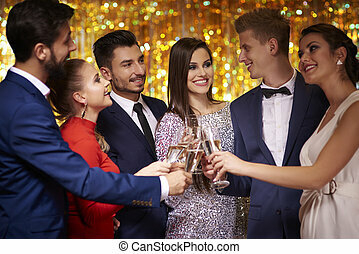 Two couples are having a dinner party at home and are toasting their drinks before they eat. 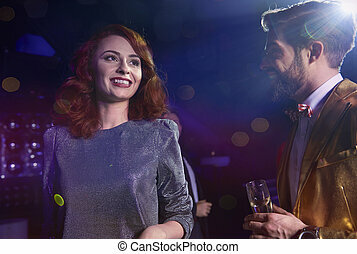 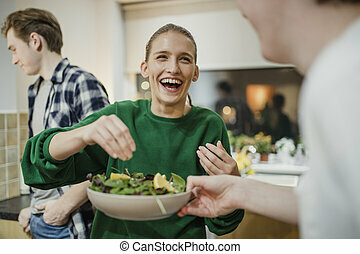 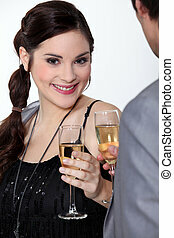 Young woman is laughing with her friends at a dinner party as she squeezes lemon juice on a salad. 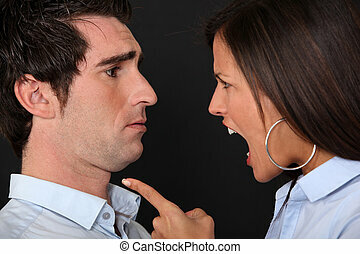 A couple having a fight.